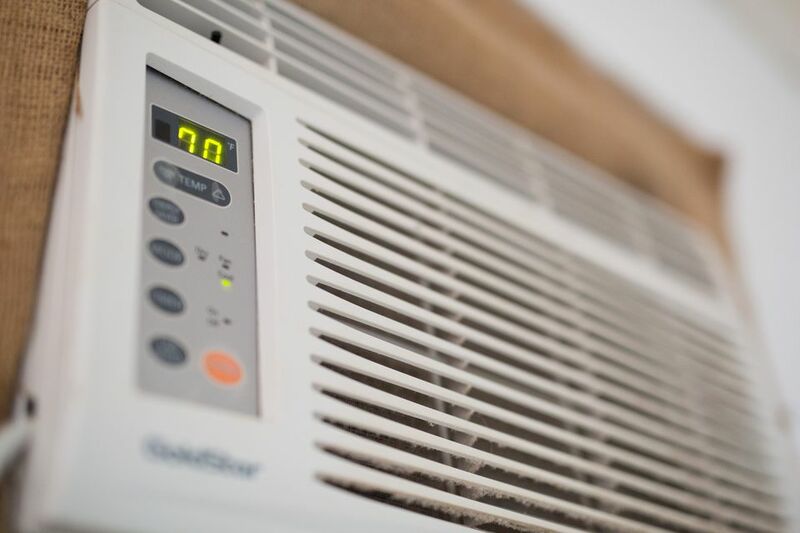 There are some stark differences between a window air conditioner and a ductless mini-split air conditioning system, but understanding the unique features and constraints of each type can help you to decide which is best for your home. While the most popular style of home cooling system for apartment buildings and other temporary residences is the window air conditioner, making the investment and installing a ductless mini-split cooling system in your home could save you money and cooling costs over time. Additionally, the ductless mini-split system can also be used to heat the home when winter comes, which gives it a marked advantage over window air conditioners that can only be used to cool a room. However, deciding which unit is right for your home really comes down to your intended use of the system and whether or not you own or rent the house where you want to install it. Most people who rent apartments, especially in big cities across the United States, have probably used a window air conditioner to cool their homes during the summer months, making it perhaps the most popular type of air conditioner for efficiency, convenience, and versatility. Its best feature, though, is the price. Window models are the most affordable and the easiest to install. Although you usually need help installing one due to its bulky design, you can often get one functioning without having to pay for professional help simply by following instructions. Additionally, operating most window units is simple, and you can find models that have a quieter design or other convenience features. Buying a quality air conditioner is also relatively simple, with most home improvement stores like Lowe's and Home Depot carrying a variety of makes and models appropriate for cooling different sized rooms—be sure to check the CEE Rating to see which is right for you. On the downside, a window air conditioner must be positioned in a window and that means less light and view to the outdoors during the summer months. The air conditioner must be rightly sized to the window opening and you have to give some consideration to how the remaining (open) gap around the air conditioner will be filled. Some use wood to fill in space, but this reduces visibility even more; others use a form of transparent polycarbonate glass. Keep in mind that there is a security risk with a window air conditioner. There isn't much holding it in there and removal from the outside (depending on where it is located) could provide an easy unwanted entry into the home. While a ductless mini-split system is cheaper and easier to install than whole-home central air, it still requires a qualified technician and a small investment. The system incorporates an outdoor condenser component with smaller wall-mounted cooling units called zones, which means you're going to need to own a property if you're getting this type of cooling system. When it comes to disadvantages of this system, the most pressing is for those renting a home or apartment. Since installation is intrusive, a ductless split system is not a good choice for a renter, who can't make renovation decisions without the landlord's consent. Cost is another disadvantage; prices can vary but typically fall in the thousand-dollar range and higher, depending on the size and number of zones installed. In contrast, if you're looking to get through a particularly hot summer in a rented apartment, a window unit is hundreds of dollars cheaper and does the job well enough. Home-owners, though, will find this option worthy of the investment since it requires no ductwork, is typically more efficient at cooling, operates quieter, is more energy-efficient, and is easy to use. Placement of the cooling zones can be on an interior or exterior wall, with no window required, systems can network multiple units throughout the home, and some of these systems include heating as well as cooling making them more versatile than a window air conditioner.